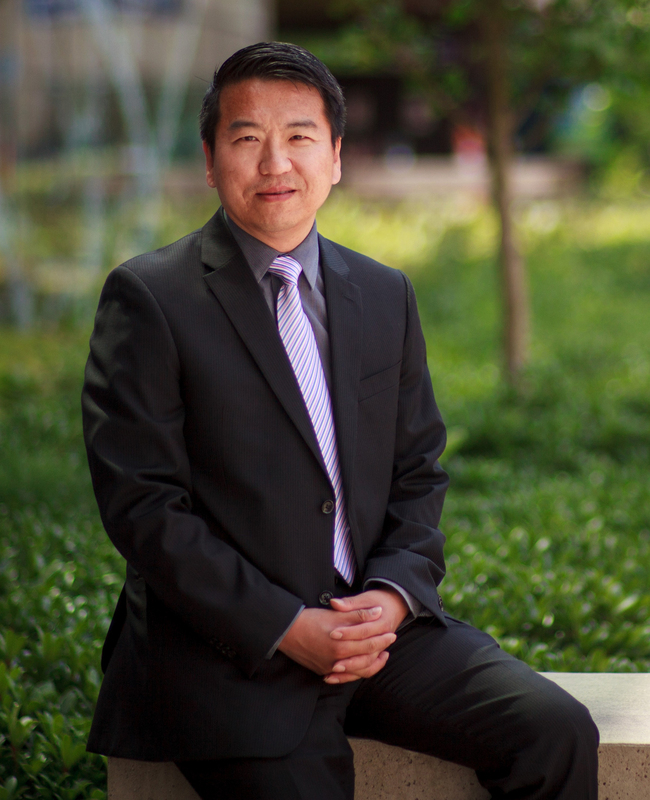 As an audiologist, Dr. Li Qi, RAUD, Aud(C) says he feels a bit like a detective. Similar to a detective, audiologists must identify a problem and find the solution. So, when he read an American study that found high false-positive rates in hearing tests for a group of babies in neonatal intensive care units (NICUs), Dr. Qi set out to find a solution. The research that Dr. Qi reviewed suggested that 1000-Hz tympanometry could be more effective than the 226-Hz tests for infants. This led Dr. Qi to begin researching whether the 1000-Hz tympanometry test could reduce false positive rates in NICU babies. In 2011, Dr. Qi was awarded an SAC Clinical Research Grant to study the effectiveness of a 1000-Hz tympanometry test in screening for middle ear dysfunction in NICU babies. 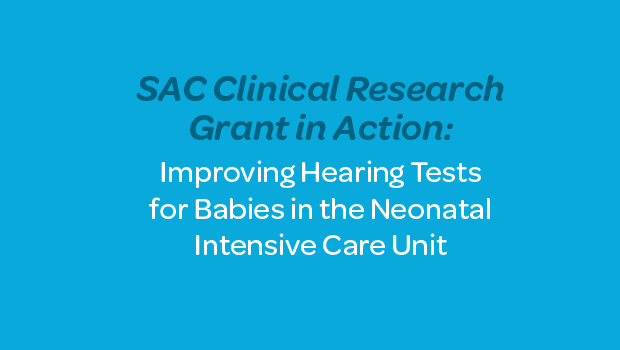 Launched in 2007, SAC’s Clinical Research Grants aim to increase the clinical evidence base in the fields of speech-language pathology and audiology in Canada — a goal that Dr. Qi passionately supports. “As a front-line clinician, I want to promote evidence-based practice and share knowledge with my peers,” he says. Dr. Qi assembled an interprofessional team for his study, including audiologists, pediatricians and nurses. 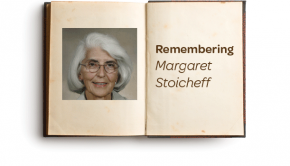 “When you do a clinical research project, you want to promote a team approach,” he says. The team developed a new protocol for 1000-Hz tympanometry and tested it on 31 NICU babies. Their research determined that the 1000-Hz tympanometry test can significantly reduce false-positive rates in hearing tests for NICU babies. 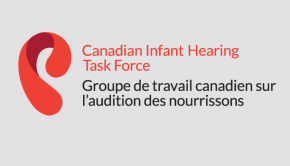 In practice, this could mean avoiding panic for new parents whose babies are falsely diagnosed with hearing loss. It can also reduce hospital costs by eliminating unnecessary hearing testing. The tympanometry protocol the team developed was designed to be easy to use for clinicians. Dr. Qi says the researchers tried to make their protocol as accessible as possible and some clinicians have found it to be very useful. “Clinicians use it every day. 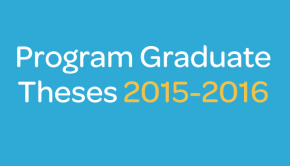 They can improve their practice by simply implementing the protocol or our approach,” he says. Building on positive feedback from clinicians, Dr. Qi and his team presented their preliminary results at the 2013 SAC Conference. Their study was published in the Canadian Journal of Speech-Language Pathology and Audiology in 2015. 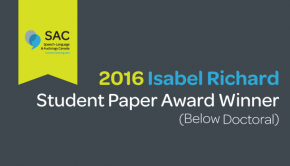 The team’s research was also awarded the SAC Excellence in Applied Research Award in 2014. In recent years, Dr. Qi has started working at Vancouver General Hospital with adults as the senior audiologist and audiology practice lead. He and his colleagues are working on hearing assessment tools for special needs patients, including adults with autism, Down syndrome and dementia. Dr. Qi received the Innovation Research Award from Vancouver Coastal Health for this project. More recently, Dr. Qi presented a study at the 33rd World Congress of Audiology on the effectiveness of smartphone hearing apps alongside Drs. Paul Mick and Kathy Pichora-Fuller, Aud(C). In addition, Dr. Qi is extensively involved in professional volunteer work and has been an SAC Board Director since 2014. He encourages every audiologist to become a member of SAC in order to promote and elevate the professions. Dr. Qi would like to see more clinicians apply for SAC research grants in order to develop evidence-based best practices and provide optimal care for patients/clients. For more information about SAC Clinical Research Grants, please visit our website.